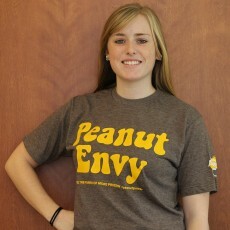 Be the envy of all your friends with our super soft Peanut Envy t-shirt. Fun and fun to wear, this tee is an entertaining way to get the message out about the all around benefits of peanut butter and PB4H! Get yours today! And remember, all proceeds from your donation go directly to Peanut Butter for the Hungry.